Ranked at #8 in the Vault Consulting Top 50, Cornerstone Research may just be the most interesting consulting firm you’ve never heard of. Specializing in economic, financial and market analysis, specifically for cases in litigation, Cornerstone Research touts itself as the one player major law firms turn to when navigating the obstacle course that is the American and European legal systems. How exactly does the firm help, though? From finding expert witnesses to running financial analysis for clients who don’t have the in-house capability, Cornerstone Research is there through every step of the legal process, helping to make sure its clients have access to the best witnesses and the most comprehensive, up-to-date economic analysis on the details of a case to ensure a favorable outcome. The firm has four main areas of expertise: consulting for attorneys, performing research and analysis, obtaining and prepping expert witnesses, and preparing for deposition and trial. Cornerstone Research has been around for over 25 years, and has steadily risen in the consulting rankings ever since. Known as an interesting and challenging place to work – and with legitimate compensation to boot – come explore with us whether or not Cornerstone Research should become the foundation of (or next step in) your consulting career. Founded in 1989 by three former consultants of the MAC Group (a boutique sales and distribution consulting firm), Cornerstone Research was established to be very different than the general management consulting firm it was birthed from; focused on unique clients, managing delicate client relationships, and offering specialized work. The three co-founders saw an opportunity in the niche market of litigation consulting, and 25 years later it is obvious they have taken full advantage of the gap. It is no accident that the original two offices (Menlo Park and Boston) were established in regions with well-respected universities – Cornerstone Research began by cultivating relationships with the faculty experts they would need to be successful. From starting with under 50 employees to over 500 staff members today, Cornerstone has grown successfully without losing the familial culture that was so important to its co-founders. Cornerstone Research is headquartered in San Francisco, CA, with six other offices spread out across the United States and one in London. Two managing directors and nine Senior VPs help the CEO lead Cornerstone Research. The practice areas at Cornerstone Research reflect the legal nature of consulting projects at the firm and the diagnostics required to build a strong legal defense for mostly-multinational clients. Note the diversity of industries Cornerstone Research works with, especially as many of these are quite specialized. Cornerstone Research specializes in working with law firms and government entities. However, the cases that these law firms are involved in can represent any industry imaginable, from telecommunications to manufacturing and everything in between. There is a big focus (based on general litigation trends and market sizes) on healthcare/life sciences/pharma, food manufacturing, intellectual property, TMT, and consumer goods. Cornerstone Research has local offices in eight cities. Of those, seven offices are located in the United States, specifically in Boston, Chicago, Los Angeles, Menlo Park, New York, San Francisco and Washington D.C. The only office location outside of the United States is London. Cornerstone Research projects are highly specialized and outside the norm of general management consulting. You must have a love for piecing together, filling in, and validating a story, as this is what you are really doing when you are searching for the best expert witnesses for a case. In contrast to the MBB firms, where every project will be completely different from the last, there is much more repetition to the work at Cornerstone Research. While the cases you are involved with will be unique, different, challenging and span many industries, your role in regards to the case will mostly stay the same no matter what: you will be finding quality expert witnesses and conducting financial analysis (get ready for lots of Excel modeling!). Like many other specialized consulting firms, Cornerstone Research is not the natural place to go if you love big-picture strategic thinking that will chart the future of an organization. But…there is good news. Your technical skills (and market research, and financial modeling abilities) will be world-class after you’ve worked at Cornerstone Research! If you’re looking to move on to a more prestigious firm (or just general management consulting) after a little while, Cornerstone is great for specific industries (if you’ve focused on healthcare cases, you’ll understand that industry). However, there are better launching pads to be found. Moving from economic consulting to a more broad-based focus may be a bit tricky, as you have superior experience in one particular facet, but minimal experience in others – and no experience in actual operational changes that are the bread and butter of most major consulting firms. This will make it difficult to sell yourself for projects that require a different skill set. Our recommendation? If you really want to move to more general management consulting, consider taking two or three pro bono consulting projects on the side to gain experience – or consider internships or time post-Cornerstone to really build a first-hand understanding of internal operations at a global, brand-name firm. However, if economic consulting is your jam, there are not many better places to go than Cornerstone Research. The firm pays extremely well, does impactful work and employees rave about the great company culture and the smarts of their co-workers. In addition, the collegial nature (and relatively small team) means Managers will trust you with more responsibilities after you’ve proved yourself, and will give you greater client and expert exposure. Typically, undergrads will come in at the Associate level, while MBAs enter at the Analyst level. It is worth noting that most of the firm’s hires are undergrads, and that many leave Cornerstone Research to pursue a graduate degree – we’ll cover this in more detail in the “Exit Opportunities” section. You can expect it to take 1-2 years to move from Associate to Analyst. As an Analyst at Cornerstone Research, you will be a part of the majority on any team. You will be responsible for preparing an expert witness for court, conducting and then submitting analyses to the court, and developing case strategy. Your team will include other Analysts, an industry expert, and a Senior Consultant. Expect to be a member of multiple teams at the same time. If you want to move up to Senior Consultant, expect to be in the Analyst position for 3-5 years. After another 2-3 years as Senior Consultant, you’ll usually have the option to move up to Manager. As a Senior Consultant, you will already be given the responsibility of helping to oversee teams to prepare you for a possible role as Manager. Though they may not be in to traditional management consulting, exit opportunities from Cornerstone Research are still plentiful. After a few years as Analysts, many employees decide to attend graduate school, and the firm has a program in place to help employees prepare their applications and get in to top programs around the country. Many former employees go on to programs in business, finance, economics and law. But pay attention – law firms especially love the experience that comes from working at the firm. MBA programs? Not quite as much. Cornerstone Research is a well-respected name in the field of economic consulting, and top graduate programs as well as firms in the realms of finance, law and economics see it as good training and proving ground for young professionals they are considering hiring. In fact, a vast majority of employees that decide to attend graduate school end up attending a top 10 school in the field of their choice (as ranked by U.S. News and World Report) – it’s just that MBAs aren’t the primary focus, and therefore roles that are less academic and more practical may be harder to come by. Intern pay and training are above-average compared to what you will find at many other consulting firms, and prior interns have found it a good foot in the door for landing permanent positions. For a Summer Analyst position, you can expect to be paid an average of over $5K a month. Current and former employees rave about the supportive and collaborative culture Cornerstone Research has built over the past 25 years. Those who leave don’t do so because of a beef with the firm, but to pursue new and different opportunities. The firm hires smart, motivated people who are more quantitative in skill-set even more than your traditional consulting firm hires. With only 500 employees firm-wide, Cornerstone Research has managed to built a tight-knit culture where employees genuinely like the people they work with. Ongoing training and skills development is a big point of emphasis for Cornerstone Research, and a big reason why employees consistently rate the firm a great place to work. The company’s training program includes annual, tenure based training, “Cornerstone College,” which is the firm’s internal course catalog, where employees can take self-directed classes, brown bag lunch sessions on various topics, and a strong mentoring system. Be sure to take advantage of all Cornerstone Research has to offer, as the brown bag lunch sessions and “Cornerstone College” are optional. (At some firms, a menu-training system won’t be utilized, but the culture of learning that is well-established at Cornerstone means that senior staff value your personal initiative in pursuing independent professional development). These skill development tools will not only make you a more efficient worker, but will also show initiative and help move you up the ladder more quickly. Plus, the knowledge will come in handy when applying for graduate schools or for making a later career move. While Cornerstone Research emphasizes investment in employees and a supportive culture, many employees talk about the poor work/life balance at the firm. Clients are demanding, cases are time-sensitive, and deadlines can change unexpectedly, so it is not uncommon to be at the office until 11pm and work weekends as well. If you are applying for a position at Cornerstone Research, you should know that this is just what comes with the territory. Hours can also be hard to predict simply because of the nature of the legal system. However, many employees also believe this is partly due to poor case management. If you aren’t careful, you can get stuck working the same type of cases over and over again simply because you have the experience already. It is up to you to speak up and ask for different types of cases from your Advisor. The potential for cross-office cases exists as well, where you will have to work with supervisors who do not know you and are often expect more of you than they do of their own teams. Tip: Answering with a definitive option for the 5 years question is not recommended (such as: “I’ll be a Manager here,” or, “I will have started my own business”). Portray yourself as someone who recognizes that you will have options, and are willing to explore them when the time comes (“I can see myself staying at Cornerstone Research long-term, but I could also see myself fulfilling a lifelong desire of starting my own business”). This will avoid making you look like you are already planning your exit, and also avoid the appearance that you are presumptuous. The second round interview is structured the same as the first, only the case will be more involved (think profitability cases and econometric questions). Some examples we’ve heard of topics covered in the case interview include credit-default swaps, stock price movement, and calculating the cost of delayed construction for an amusement park. The case will be highly quantitative, so make sure you have brushed up on your mental math skills! Second round interviews are conducted in person, and usually only last between 30-45 minutes. The first 20-30 minutes will consist of your case interview, and the last portion will be fit questions. Expect more questions about why you would excel in the position you are applying for and a time you led a team and perfected a process. Make sure you have those hero stories ready! 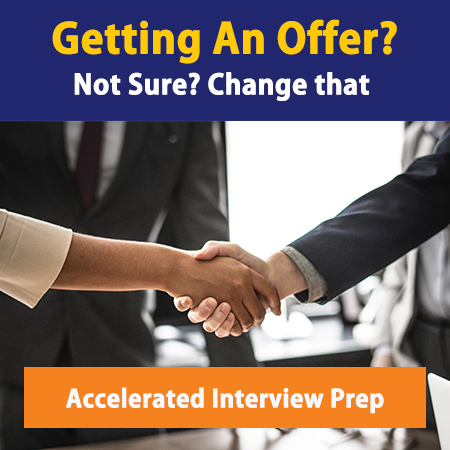 Nervous about your case and behavioral interview chances? Check out our interview prep options to give you a leg up on the competition! Networking your way into a position at Cornerstone Research is not hard to do, if you’ve got the right education and experience. First of all, the representatives of the firm speak at info sessions and conferences at dozens of locations across the US and worldwide. Access their events calendar to find out when and where you can network with someone from the firm and make sure you have your consulting-ready resume ready to leave with them. Secondly, set up your LinkedIn profile and search for Cornerstone Research employees in your network. LinkedIn shows almost 600 Cornerstone Research employees, so it’s possible you know someone who knows someone who knows someone at the firm. For tips on planning your approach and delivering your elevator pitch, read The Networking Bible. If conducting deep analytical financial and economic research is your thing, and you would love the opportunity to contribute to high profile court cases, you would love working at Cornerstone Research.